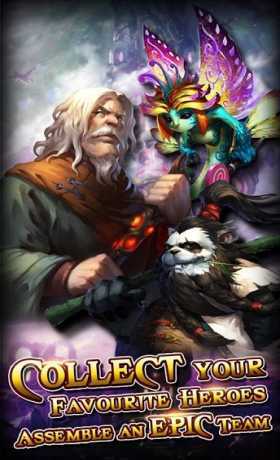 Join with your friends in the latest action RPG, 《Heroes of titans》! Collect and train your favourite heroes, strengthen them and learn the way to counter-skill and knock out your enemies with a simple click! Which heroes will be picked? 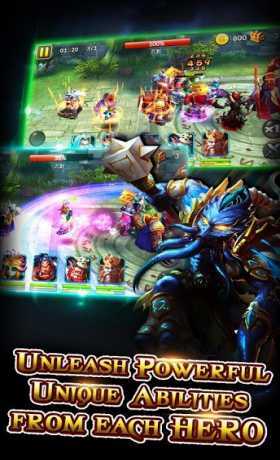 Next-Generation cards battle game in 3D with hundreds of stunning battle visual effects. Players will actually experience the epic battles happening in front of them. 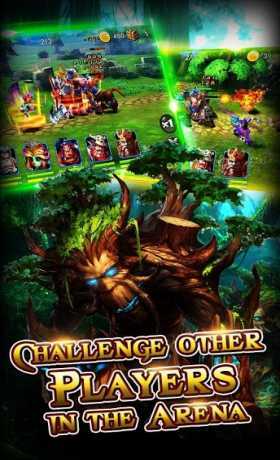 Abandon the brainless card games and play the real strategic cards game, althought the main fighting is control automatic by the system buy heroes real-time dynamic ultimate is fully control by players for interrupt enemies combos and amazing game interface that will inspires you while playing. ★ There’s lot of different hero cards, therefore every hero come out with different skill and line up strategy for every combats. What you waiting for? Come and line up your strategy hero cards and win every combat! ★ During battle, players can randomly pick up any or bring their own props to winning combat! Smooth production brings up different level effect in games. Before that, players can found materials item from activity for evolution items to make their hero cards stronger and become the best of the best!